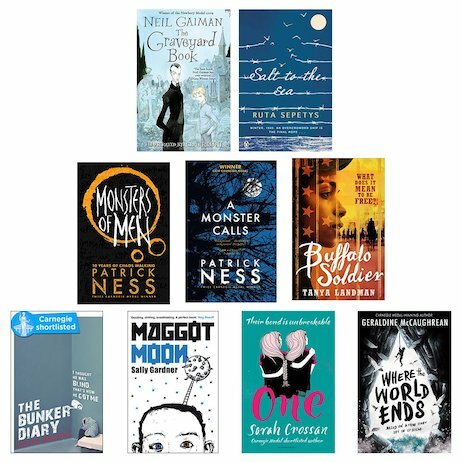 Buy this and your school gets £16.08 to spend on books Orders of £10 or more will earn 25% of your order value back in Scholastic Rewards for your school. What’s even better than our Carnegie Medal shortlist pack? This pack – nothing but the winners! All that is great in children’s fiction, according to the judges of this legendary prize. More power than a triple lightning strike. Seriously – books don’t get more essential, inspiring, thought-provoking, or moving. They just don’t get more anything! These are the best of the best – no contest. Nothing but knock-out fiction that’s beaten all the competition to grab the ultimate kids’ literary crown. There’s no other prize like it. There are no other books like them.